Although heat pumps are commonly used in houses around the country, many homeowners don’t fully understand what auxiliary heat is. In fact, many people get auxiliary heat confused with emergency heat when they are actually quite different. It’s important for homeowners to fully understand what the term auxiliary means. By understanding this term, homeowners will not only have a better idea of how their system works, they’ll also have more control over the inside temperature of their home. So, what is auxiliary heat on a thermostat? If you’re wondering what the auxiliary heat feature on your thermostat means, it’s basically a supplement heat source. To start, the job of a heat pump is to take air from the outside your house, warm it and then blow it throughout the different parts of your home. However, when the outside temperature is 32° F or below, your auxiliary heat will usually turn on automatically. There are two main reasons as to why this may happen. In many situations, it’s a combination of both. Like mentioned above, the auxiliary heat will turn on when the temperature outside of your home drops below 32° F. Your heat pump does this, because it detects that the inability to effectively move the heat from the outside to the inside of your home. Therefore, the heat strips turn and supply any extra heat that’s needed. This is another reason why the auxiliary heat maybe going on. When ice accumulates on the outside of your water heater, you will need to unfreeze it. The best way to do this is to turn the switch to the defrost mode on your water heater. This will take the heat from your home and use it to melt the ice. It’s important to note that this method will result in cold air coming out of all your vents. So, you’ll want to make sure you bundle up before you begin defrosting the ice off your unit. When should you be concerned with auxiliary heat? If the temperature outside begins to warm up, and you notice that your auxiliary heat is still on, you’ll know that there is a problem. In this situation, it’s recommended that you call a professional right away. The way auxiliary heat works is by using electric resistance to heat your home. This is much less efficient than using your heat pump. As a result, this inefficiency will lead to more expensive electricity bills. How can you help prevent your heat from using the auxiliary heat function? Like just stated, when your auxiliary heat function is running, it’s going to use up much more energy than your heat pump. Although having the auxiliary heat function is useful, you’re going to prevent the use of it as much as possible. Here are some tips to helping prevent the use of the auxiliary heat function. During those cold winter months, it’s best if you keep your home at 68 degrees. Why is this? Every degree above 68 degrees can boost your electrical bill by a whopping 4%. However, when you keep the inside temperature of your home at a lower degree, your heat pump won’t have to work so hard and the chances of having to use the heat strips will decrease by a lot. If you’ve been on vacation, you’ve probably kept the inside temperature of your home much cooler than normal. 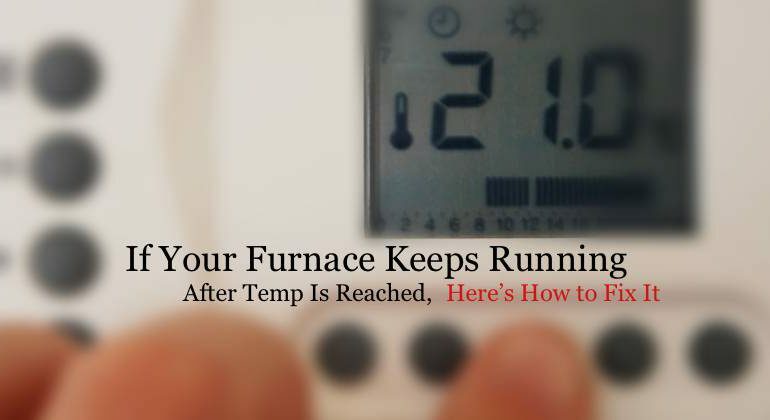 When you go to turn up the thermostat, make sure that you only turn it up 2 degrees at a time. If you turn it up quickly, your heat pump will do whatever is necessary to get your home up to that temperature as fast as it can. To do this, some heat pumps will rely on the use of heat strips. However, by turning your thermostat up slowly, you can avoid this. A lot of people don’t really understand the difference between auxiliary heat and emergency heat. The difference is quite simple. When your heat pump breaks down, or it just isn’t working the way it’s designed to, a homeowner can switch to emergency heat. This will completely sidestep the heat pump and rely completely on the heat strips. Auxiliary heat on the other hand uses heat strips together with the heat pump to supplement the loss of heat. Make sure that you only use the emergency heat feature as temporary solution and not a long-term solution. If you think your heat pump is broken, it’s best to get it fixed as soon as possible. This will save you money in the long run. When my heat pump turns on the temperature drops about 4 degrees before it starts to warm up.